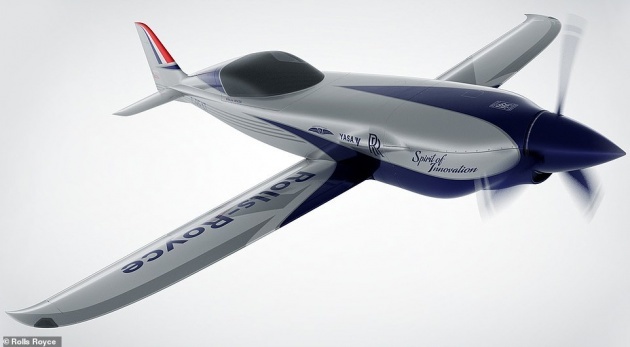 Rolls-Royce has revealed plans for a record breaking electric plane capable orf reaching 300mph. Called Accel, the firm hopes it will take to the skies next year to claim a world record. The current record for an all-electric plane, set by Siemens in 2017, is 210 mph - which the Accel could smash. Scheduled to take to the skies in 2020, the aircraft will reach a speed of 300 mph – and quite likely more – making it the fastest all-electric plane in history. The project is part of a Rolls-Royce initiative called ACCEL – short for 'Accelerating the Electrification of Flight'intended to boost sales of electric planes - powered by Tolls-Royce engines. The firm says it will 'pioneer a third wave of aviation'.